So it’s not quite winter and not quite spring, meaning when I leave the house I’m either wearing too much or not enough. In these in between weather days I always find it handy to wear a headband, ears tend to get chilly after a bit. I thought of making a new headband design or searching for one but then I remembered the Star Trek headbands I made last year. 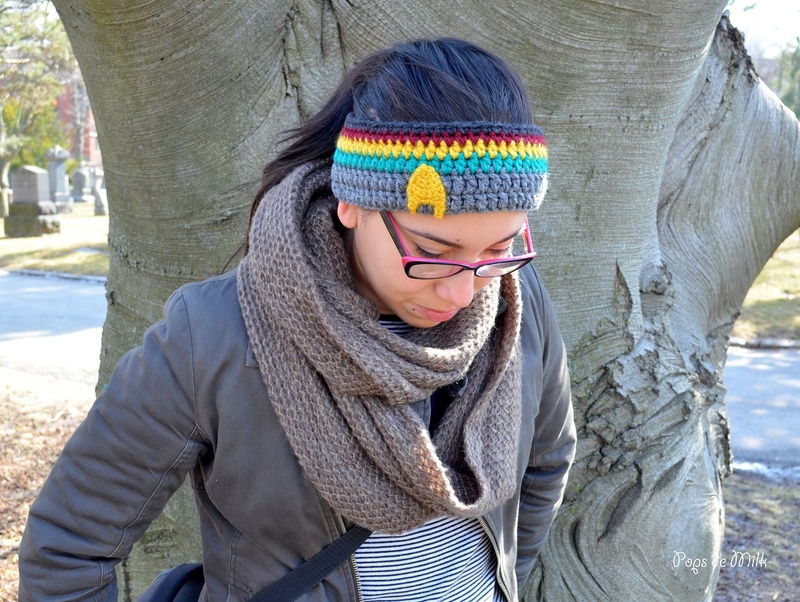 When I made the decision to make a Wesley Crusher headband, I realized that all this time I’d been subconsciously wishing I’d made one for myself. Well, it’s never too late to crochet something just for you! Find the pattern in my blog post here. Purchase the PDF version here.